Once described as Italy’s second religion, success on the race track has inspired a passion among Ferrari enthusiasts like few other car marques. Ferrari and motor racing are practically inseparable. The first cars to wear the famous Prancing Horse badge were racing cars, it was their founders true passion and you don’t have to be die-hard Tifosi to be moved by a Ferrari win at Monza. But of course that is only part of the story as over the last seven decades Ferrari have manufactured some of the most desirable road cars of all time that have fetched record prices at auction when sold. So how did a man who famously wasn’t that interested in making production cars wind up putting his name to so many of the world’s most desirable sports cars? You probably won’t be at all surprised to hear it started on the racetrack. Enzo Ferrari was born in 1898. Starting his motoring career as a racing driver, in an age when drivers often paid the ultimate price for their mistakes. Enzo retired after the birth of his son Alfredino (Dino) in 1932 to concentrate instead on racing team management. Alfa Romeo had ‘officially’ pulled out of Grand Prix Racing at the end of 1932 but for several years Enzo was permitted to continue race Alfa racing cars under his ‘Scuderia Ferrari’ banner. In 1937 Alfa Romeo decided to move the racing division back in-house, acquiring a 70% stake in Scuderia Ferrari. Enzo’s protests against this decision that would have absorbed Scuderia Ferrari, led to Alfa and Ferrari going their separate ways. 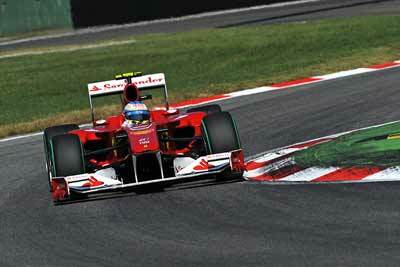 Contractual issues forbade Enzo from racing under the Scuderia Ferrari banner for four years. So Enzo established Auto Avio Construzioni (AAC) to produce aircraft accessories and machine tools for the Italian war effort but even in wartime, the desire to go motor racing was still so very strong. In 1939 AAC were commissioned by Lotario Rangoni, Marquis di Modena to build two cars to compete in the 1940 Brescia Grand Prix (the successor to the Mille Miglia). The AAC Tipo 815 was a two seat open top sports car, based around a Fiat chassis with an in-line, eight-cylinder (initially developed from a Fiat 4-cylinder), 1.5 litre engine up front (hence 815). The 1940 Brescia Grand Prix ran over nine gruelling 103 mile laps of Brescia roads. The two 815s got off to a very promising start. The first car led the 1500 cc class for the first lap, before retiring with valve problems. This left the second car to take over, set the class lap record and build a lead of more than half an hour…before the engine failed with less than 2 laps remaining. Only one of the AAC Tipo 815’s survive today. See it start up in the video below. The first car to bear the Ferrari badge was the 125 S. Like the AAC Tipo 815 it was a two-seat sports racing car but unlike the 815 it had a bespoke 1.5 litre V12 designed by Gioacchino Colombo. The 125S debuted at the Piacenza circuit in 1947. After taking the lead, the car retired due to a fuel pump problem. Enzo famously described this debut as a “promising failure” and over the next 4 months the car proved him right, winning six of the 13 races it entered before being replaced by the 159S. The famous Prancing Horse or ‘Cavallino Rampante’ symbol and the story behind it is an important piece of the Ferrari Legend itself and dates back to the 1920’s when Enzo Ferrari was still competing as a racing driver. 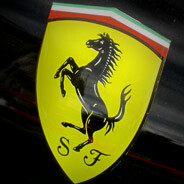 Enzo added the yellow colour of Modena to the Prancing Horse crest, crowning it with the red, white and green tricolor of the Italian flag. In 1969 Enzo Ferrari allowed Fiat to buy a 90% stake in Ferrari, after famously turning down an earlier deal from Ford to in 1963 at the 11th hour (in revenge Ford famously developed the GT40 racing car to beat Ferrari at Le Mans) as the deal would have reduced his control of the racing team. Despite Fiat ownership, Enzo Ferrari remained at the helm of the company until his death in August 1988 (at the age of ninety). Scuderia Ferrari is the oldest surviving and most successful team in Formula 1 history, having competed in every F1 grand prix since the modern championship started in 1950. Ferrari drivers have won 221 races (and counting), 15 drivers championships and 16 constructors championships. In other racing formula, Ferrari have won the Sports car world championship 13 times, the Mille Miglia 8 times, Targa Florio 7 times and the Le Mans 24 hours race 9 times. In 2014 Bonhams auction sold a Ferrari 250 GTO for a record-breaking $38,115,000 at their Monterey auction, making it effectively the most valuable car in the world. Ferrari currently produce the 488 GTB, 488 Spider, FF, F12 and California T road cars. In 2014 Brand Finance awarded Ferrari the most powerful brand in the world. If you’re a Ferrari owner or fan, be sure to check out our Ferrari owners’ clubs page to find out about meetings and events near you.